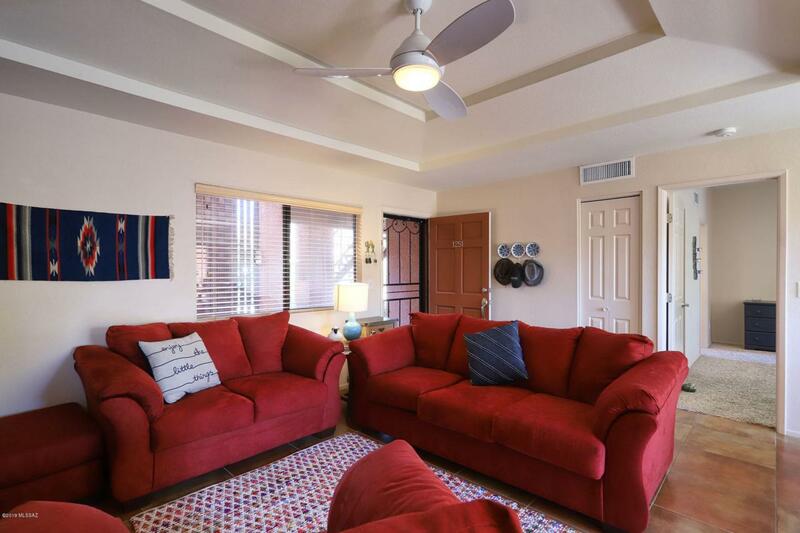 Situated in a private setting in the community-no back yard neighbor-but close to the community amenities, this home has upgraded 20 inch tiles in living areas, two private patios(off master bedroom and dining room), and a corner window in kitchen brings the outdoors into home. Corian counters in kitchen and tile counters in bathrooms. Newer bright cabinets throughout. Charming fireplace in living room and walk-in closet in master bedroom. 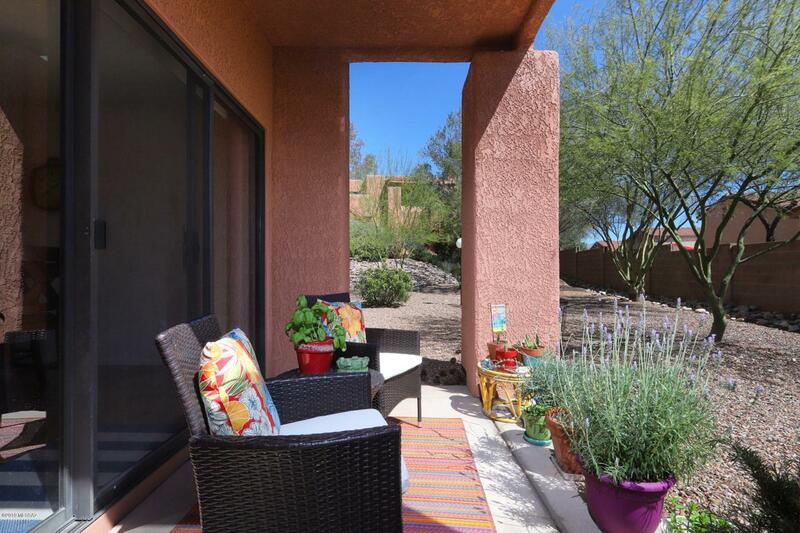 Ventana Vista Community is close to shopping and Sabino Canyon Park. 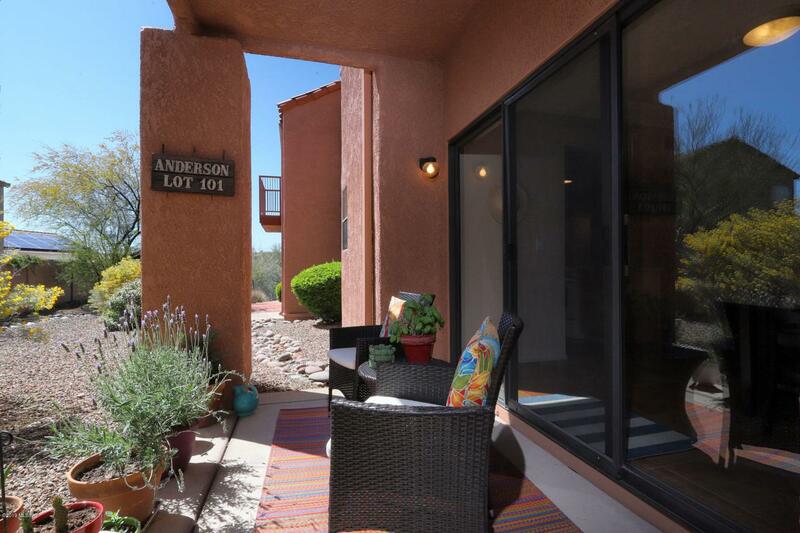 HOA includes swimming pool, two spas, tennis, pickle ball court, exercise room, game room, club house, roof maintenance, interior water, trash pick up, fire protection, termite and pest control, and beautiful landscaping all in a friendly, gated community.